As part of the national Cancer Moonshot initiative, a Blue Ribbon Panel (BRP) of cancer leaders, including Vanderbilt-Ingram Cancer Center (VICC) director Jennifer Pietenpol, Ph.D., has delivered a series of recommendations to accelerate the pace of cancer prevention efforts and scientific discovery. The BRP recommended 10 scientific approaches most likely to make a decade’s worth of progress against cancer in five years. The BRP’s report was delivered Sept. 7 to the National Cancer Advisory Board (NCAB) whose members voted to accept the recommendations with some revisions. The National Cancer Institute’s acting director also accepted the recommendations. Pietenpol was one of two VICC leaders deeply involved in this initiative to accelerate progress against the disease which will claim nearly 600,000 lives in the United States this year. 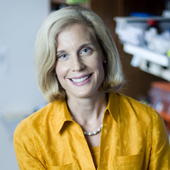 She was among 28 scientific experts, industry and academic cancer leaders and patient advocates on the BRP, and served as co-leader of a working group on Precision, Prevention and Early Detection. She is a previous member of the NCAB. 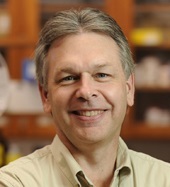 Scott Hiebert, Ph.D., Hortense B. Ingram Professor of Cancer Research and associate director of Basic Research and of Shared Resources at VICC, was recently appointed by President Obama to serve on the NCAB and voted in favor of the recommendations. The Blue Ribbon Panel held listening sessions, collaborated with multiple stakeholders and considered 1,600 public submissions before distilling their ideas. “Our mandate was to consider the universe of bold possibilities, then to think broadly and strategically about the approaches that were likely to produce meaningful and tangible progress in an accelerated time frame of five years,” said Pietenpol, who also serves as executive vice president for Research at Vanderbilt University Medical Center. Members of the NCAB discussed the problem of disparities in cancer incidence, detection and treatment, as well as the need for new federal funding for the initiatives. “These recommendations cut across disciplines and address crucially important issues like scientific discovery to better understand the mechanisms that lead to resistance to therapy, differences between adult and pediatric cancer, and data sharing at a national level,” said Hiebert, professor of Biochemistry and associate professor of Medicine. The entire report can be viewed at www.cancer.gov/brp.